You host a party. Who would be in your invite list? Friends. Oh. They are the must. Else, what’s the fun? VIPs. Of course, they add to the nobility of the party. Strangers. Why would you? Random people for no reason! Definitely not. They don’t deserve your invite. 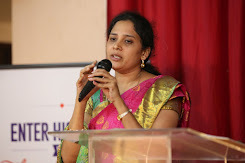 But if there’s one invite that transcends all boundaries, be it ethnicity, religion or socio-economic status, it is the invite from the Man on the Cross. The Lent Days reminds us of this Great Invitation. Invitation to the troubled and the weary world (Matt 11:28). Invitation to approach the throne of God boldly, through His work on the cross (Heb 4:16). Invitation that washes away our sins and offers us a new life in Christ (2 Cor 5:17). Invitation that gives us joy and peace (John 14:27). Invitation that offers us rest (Mat 11:28). What a glorious invitation! But an often forgotten one - in our busy lives. Isa 55 is a foreshadow of this great invitation. If you are in need, come, buy and eat, without price. If you find no satisfaction, listen to Him and your soul will delight in abundance. If you accept this invite from our Lord Jesus Christ, you are freed of Adam’s curse on mankind. 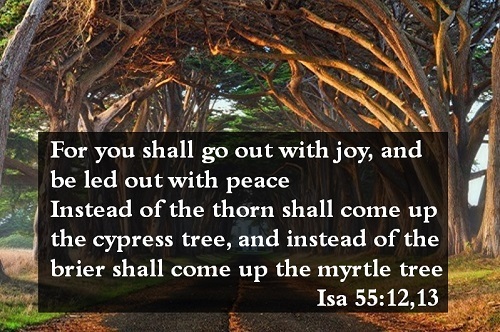 Instead of thorns and brier, you will see cypress and myrtles (Isa 55:13). An invitation to ‘all’ and to ‘anyone’. Let's extend this invitation to people around us!